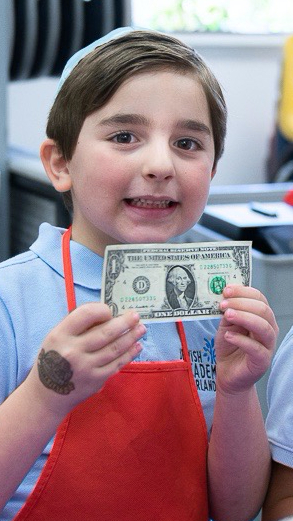 From the youngest of ages to the school’s alumni, the act oftzedakah(righteous acts of giving) is deeply rooted in the school’s curriculum. Two favorite student activities are the kindergarten-managed Healthy Snack Store, which benefits Jewish Family Services of Orlando, and the second graders’ Fun Run benefiting Habitat for Humanity. Part of of the school’s Jewish Values curriculum and a core value of the school is tikkun olam(repairing the world). Students are encouraged to give tzedakah on their own and are afforded the opportunity each Friday at Kabbalat Shabbat. As well, each week, individual students are recognized for acts of kindness through the Mindful Mitzvot(commandments/good deeds) program. Often times, the children are recognized for their generosity in giving.